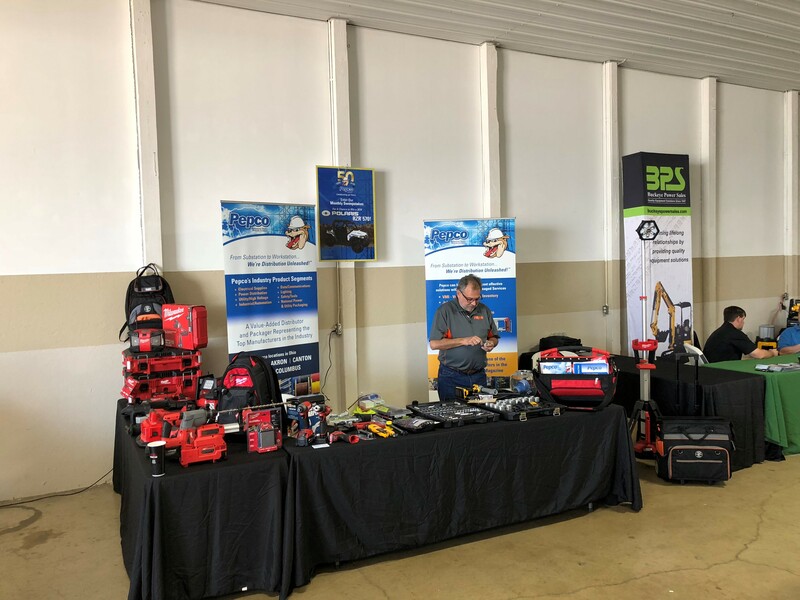 Pepco participated in the AEC/IEC Electrical Construction Tradeshow and 17th Annual Wire-Off Skills Competition on Thursday, May 10th at the Franklin County Fairgrounds. Over 40 vendors and 300 industry participants and decision makers were in attendance. Representing Pepco were Tom Daniels, Chris Eck, Ryan Kimbler and Liz Herzberg from our Columbus branch and Adrian Griffin, Sr. from our Eastlake branch. The Pepco booth highlighted Milwaukee and Dewalt tools to attendees as well as promoted our new Pepco Columbus branch location. Pepco was proud to support the 2018 AEC/IEC event as a Bronze Sponsor. Established in 1946, IEC Central Ohio (AEC-IEC) is a non-profit association of Independent Electrical Contractors, supporting merit shop and free enterprise by clear communication with government, promoting safety and ethical practices; by providing leadership to the industry and by providing the very best in education for the development of a professional workforce. IEC Central Ohio is the only organization in Central Ohio dedicated exclusively to the success of the Independent Electrical Contractor.